Lake Maggiore, or Lago di Maggiore, is one of Italy's largest and most popular lakes. Formed from a glacier, the lake is surrounded by hills in the south and mountains to the north. It's a long and narrow lake, about 40 miles long but only about .5 to 2.5 miles in width, with a total distance around the lakeshore of 93 miles. Offering year-round tourist activities and a fairly mild climate, the lake can be visited almost any time of year. Lake Maggiore, north of Milan, is on the border of Italy's Lombardy and Piemonte regions and the northern part of the lake extends into southern Switzerland. The lake is 12 miles north of Milan's Malpensa Airport. Hotels can be found all along the shore of the lake. Stresa is one of the main tourist towns with hotels, restaurants, shops, a train station, and a harbor for ferry and excursion boats. The western shore of Lake Maggiore is served by the Milan to Geneva (Switzerland) rail line with stops in several towns including Arona and Stresa. Locarno, Switzerland, at the north end of the lake is also on the rail line. The closest airport is Milan's Malpensa AIrport. Bus service between Malpensa Airport and the lake towns of Dormelletto, Arona, Belgirate, Stresa, Baveno, Pallanza, and Verbania is provided by Alibus (confirm with the bus company if you're traveling outside of summer). Ferries and hydrofoils link the major towns on the lake and go to the islands. Buses also serve towns around the lake. A nice day trip from Stresa is taking the ferry or hydrofoil to Switzerland and returning by train. Borromean Islands: Three picturesque islands can be reached by ferry from Stresa—Isola Bella, Isola Madre, and Isola dei Pescatori. Park of Villa Pallavicino: The Park at Villa Pallavicino, near Stresa, has large botanical and zoological gardens with many plant and animal species. It's open daily from March through October. Villa Taranto Botanical Gardens: The botanical gardens are in the small town of Verbania, near the Swiss glaciers. Lagoni di Mercurago Nature Park: The park in the hills outside Arona near the small town of Mercurago is a good place for hiking and mountain biking (it's closed to motor vehicles). In the park are many animals, birds, and plants as well as a few small lakes. 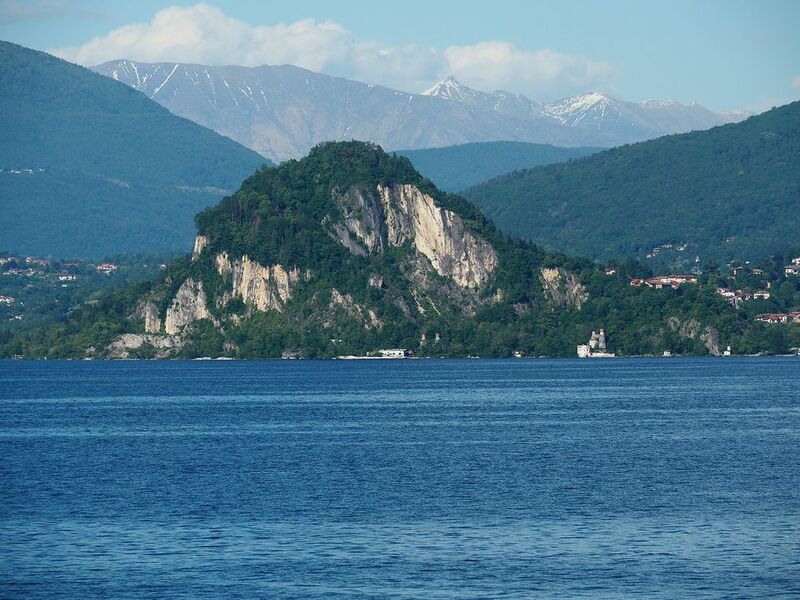 Mottarone: To get to this mountain, you can take a cable car from Stresa Lido or drive up the panoramic Borromea Road from Stresa through the hills above the lake. From the top, there is a 360-degree view of the lake district and the Alps. In summer it's a good place for hiking or painting, and in winter there's skiing. Castles and Fortresses: The Rocca di Arona sits on the cliffs above Arona and has good lake views. The fortress was the scene of many battles, but the remains are now a public park that attracts ducks and peacocks. The 12th-century Rocca di Angera is a preserved castle with a doll museum inside. Near the Swiss border, the castles of Cannero sit on a rocky island near the shore. Church of Santa Caterina del Sasso: The 12th-century church is in a picturesque setting, built into the cliffs. It can be reached by a walking path or by boat. Orrido di Sant’Anna: The gorge at the end of the Cannobino River is a favorite place for whitewater rafting and kayaking.